South Park has built a large group of fans based on its irreverent humor and frequent social commentary. 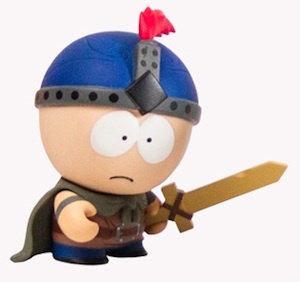 In conjunction with the release of South Park: The Stick of Truth, an RPG (role-playing game) for XBOX, Playstation and PC, Kidrobot has produced a line of vinyl figures featuring main characters from the game. 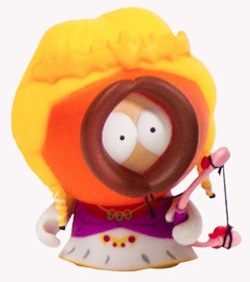 The 2014 Kidrobot South Park The Stick of Truth vinyl figures come in individual packages. The boxes are not packaged in the blind box format, so you should know which figure you are getting when you purchase it. Each figure stands approximately three inches tall and comes with a removable weapon accessory. 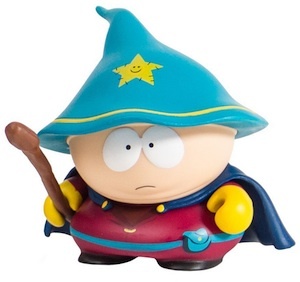 There is also an exclusive six inch figure for Grand Wizard Cartman. 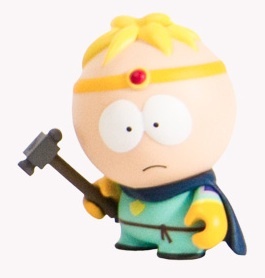 The larger vinyl figure is only available as part of the video game collector's version, South Park: The Stick of Truth Grand Wizard Edition. 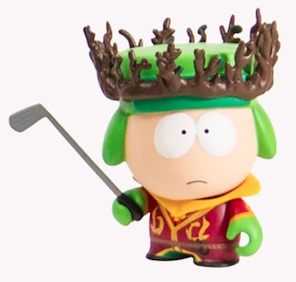 In addition to the exclusive Cartman figure, there is also a hand-drawn map of South Park and several in-game bonuses. View the full checklist below and click the Visual Guide tab above to get a look at each figure. 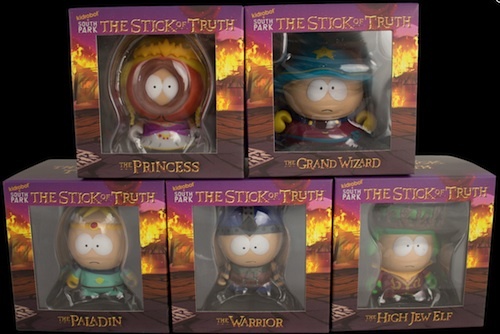 South Park The Stick of Truth Grand Wizard Edition Cartman Figure 6"
(015)Sealed KIDROBOT SOUTH PARK-Cartman-The Stick Of Truth - "The Grand Wizard"
Kidrobot South Park THE WARRIOR The Stick Of Truth Action Figure Vinyl Toy 3"
Kidrobot South Park PALADIN The Stick Of Truth Action Figure Vinyl Toy 3"